A 200-watt guitar amplifier that can be hold by one hand. The massive power of a full size head that fits into a backpack. True high voltage tube distortion tone that can be carried around. The portability that every guitar player desires. THE DREAM HAS FINALLY COME TRUE ! Single knob controlled noise gate that triggered (side chain) by your guitar pickup output to control the distorted output signal. Since the clean guitar signal has a lot more dynamic than the heavy distortion signal, it is extremely effective and sensitive than most noise gate effect pedals. Channel 1: from clean to overdrive. Channel 2: from clean to metal. Channel 3: from overdrive to metal. Low noise linear regulated DC 9V (1000 mA) output on the back panel of the amp and the remote foot-switch. No more pedal power and battery is needed, when you switch the amp off, the effect pedals are turned off at the same time. 2 separated Effect Loops for "main" and "sub" outputs, can be defeated by foot switch. 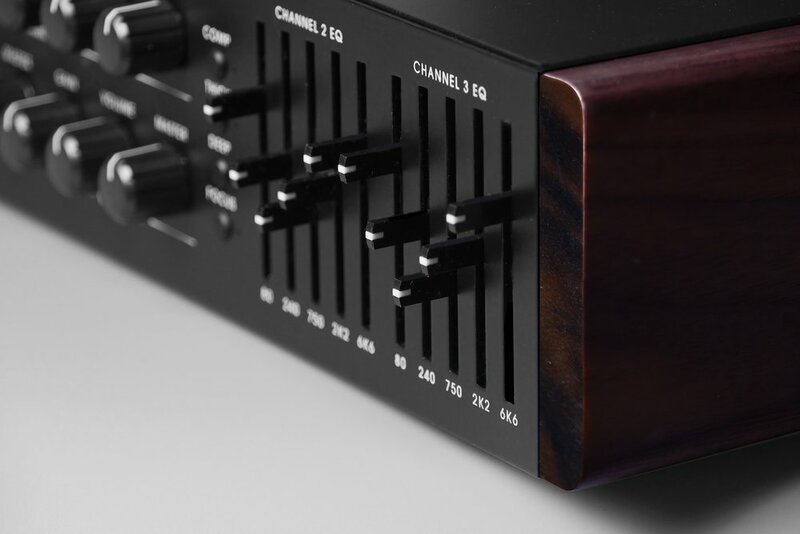 The 2x5 bands digital tone control for channel 2 and 3 comes right after the tube pre-amp circuitry. We designed the graphic EQ to decrease the front panel size and yet provides a very versatile and precision control to your tone. Active 5 bands (+/- 8db) instead of traditional 3 bands that fits the creativity of modern guitar players. WITHOUT A BASS PLAYER IN THE BAND?! Class-D amplifier, the most efficient power amplifier nowadays. It provides a very wide audio frequency response and very sensitive to transient attack and punch. 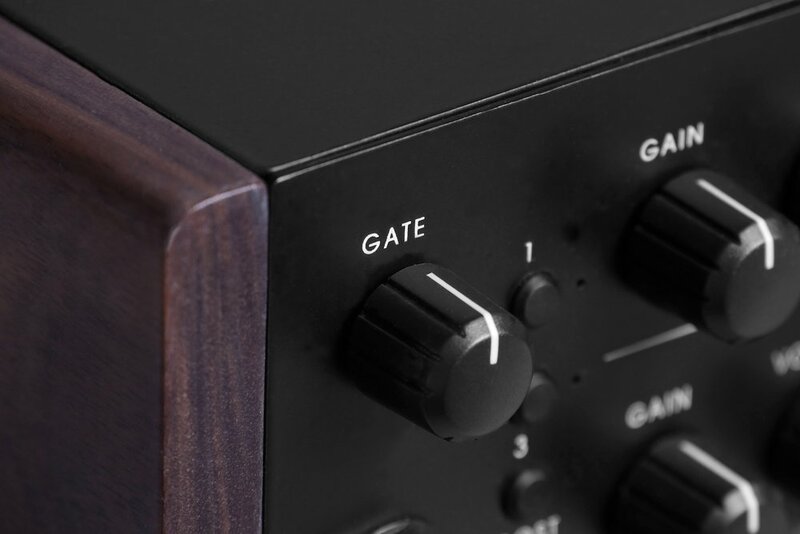 Different from traditional tube power section, GA1.1 provides a more massive low end punch and crispier high end detail. And most important, It doesn't degrade over time, no service is needed. It also produce 80% less heat than traditional class-A power amplifier. These are the reasons why Class-D amplifier can also be found in all high end studio monitors.